The Encyclopaedia of Judaism Online offers more than 200 entries comprising more than 1,000,000 words and is a unique reference tool. 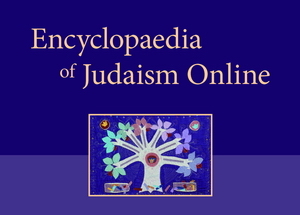 The Encyclopaedia of Judaism Online offers an authoritative, comprehensive, and systematic presentation of the current state of scholarship on fundamental issues of Judaism, both past and present. While heavy emphasis is placed on the classical literature of Judaism and its history, the Encyclopaedia of Judaism Online also includes principal entries on circumcision, genetic engineering, homosexuality, intermarriage in American Judaism, and other acutely contemporary issues. Comprehensive and up-to-date, it reflects the highest standards in scholarship. Covering a tradition of nearly four thousand years, some of the most distinguished scholars in the field describe the way of life, history, art, theology, philosophy, and the practices and beliefs of the Jewish people.